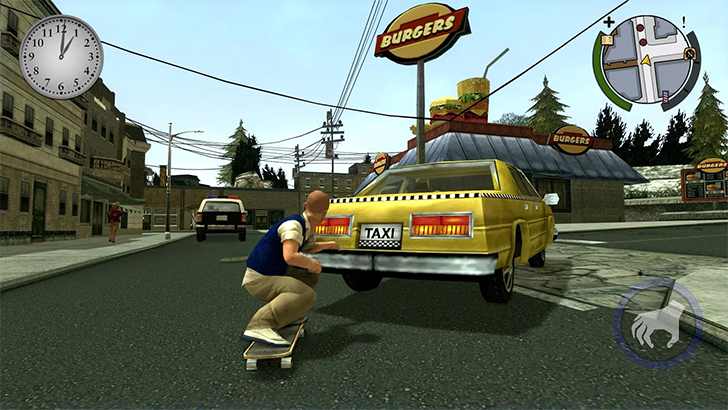 Rockstar's 'Bully' was originally released in 2006 for the PlayStation 2, centered around 15 year-old Jimmy Hopkins as he tries to rise through the ranks of the corrupt Bullworth Academy prep school. It generally received good reviews, and two years later, the Scholarship Edition was released for the Wii, Xbox 360, and PC. Ten years after the game's original release, Rockstar has partnered with War Drum Studios to release Bully: Anniversary Edition for Android and iOS. War Drum Studios has been responsible for every Rockstar mobile port, including the Grand Theft Auto titles, so you know this isn't a shoddy re-release. The Anniversary Edition includes the full original game, as well as all additional content from the Scholarship Edition. It also supports turn-based multiplayer challenges, cloud save support via Rockstar Social Club, and physical controller support. The game costs $6.99 on the Play Store, with no extra content behind paywalls, which I think is a pretty fair price.